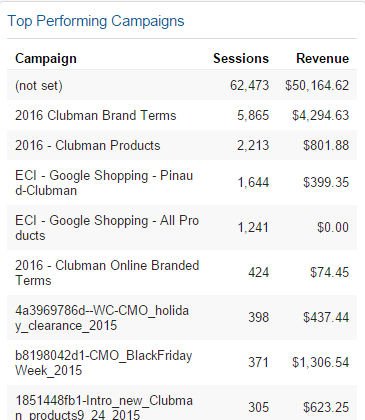 Recently I looked at the 2015 ecommerce mobile marketing data of one client. As I reviewed the report, I listed marketing recommendations that I conveyed to the owner. He graciously allows me to share his data as an example of how to use Google Analytics data to improve your marketing results in this segment. 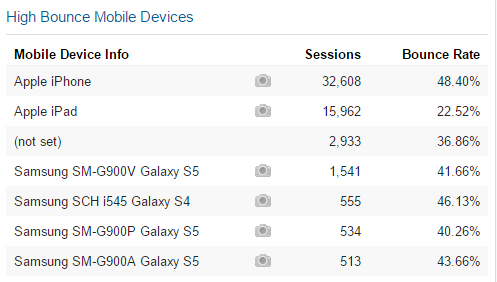 All the following reports are from a Mobile eCommerce dashboard that you can import for free into your account. Observation – Since the brand page is merely a category selection page, the time on page of 17 seconds is not a problem. Visitors make a choice and proceed. 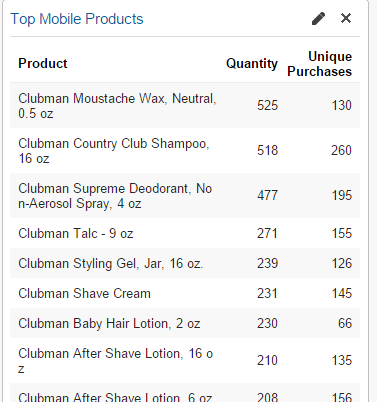 The aftershave, shaving tools and shampoo category pages are the most visited categories on mobile. Suggestion – Feature these categories with images and or text directly from the mobile home page. Observation – The most frequently purchased products on mobile were the company’s shampoo, deodorant and talc. Suggestion – Create a mobile home graphic featuring the top products, in this case shampoo, deodorant and talc. Observation– The iPhone has the highest bounce rate of any device, and it is the device most used by the website’s visitors. Suggestion – Investigate Iphone display and navigation. Test rearranging elements to help people find popular items more quickly and thereby reduce the bounce rate. 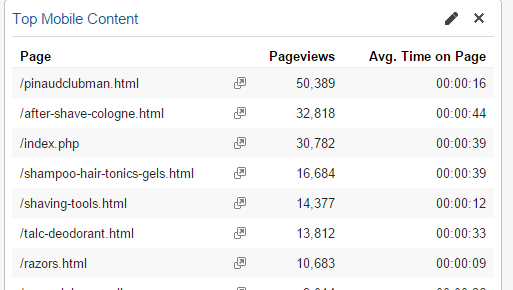 Observation: For all of 2015, referral traffic made up about 8% of eCommerce revenues. Suggestion – Referral traffic was mis-categorized from first 6 months and has now been corrected to filter spam and reclassify other sources. 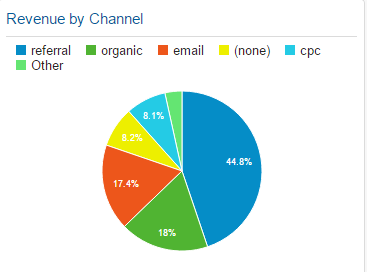 Referral traffic is in fact a minimal source. Observation – We know that shopping carts are abandoned on both mobile and desktop, yet the stats do not show it. Suggestion – Have the developer set up cart abandonment tracking steps so we can determine where people drop off, on both desktop and mobile. Then we can improve those steps with redesign. Observation – Email campaigns (the last three items in the screenshot above) are leading to sales on mobile. Suggestion – Make email messaging short and direct, with large button links, to encourage clicks and improve conversions from that channel. 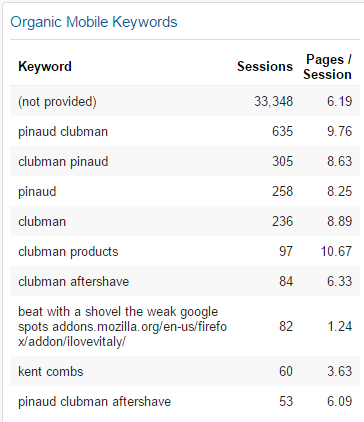 Observation – Of products outside the main brand, this site ranks high for the keyword phrase “Kent combs” in Google search during 2015. Suggestion – Increase the stock of Kent combs so they can be cross promoted to current customers. Observation – Looking at comparative data with 2014, mobile traffic has increased from $57, 857 to $69, 070, or from 24 to 29%. Suggestion – Increases from 2015 to 2016 will likely increase by an even higher percentage. The owner should invest in improving his mobile eCommerce marketing results. I hope this helps you understand how you can use ecommerce mobile data from Google Analytics to improve your ecommerce website.